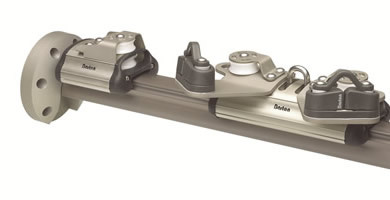 The Removable Mainsheet Track System, which is ideally suited for all yachts up to 11.0m (36ft). 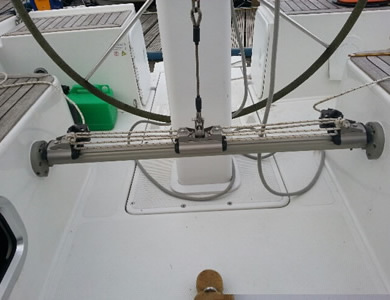 This adaptable mainsheet track system is designed to span between the cockpit seats when sailing but is easily removable to ensure cockpit space is not compromised when you want to relax on board. It’s a perfect solution for converting modern coach roof mainsheet sheeting systems to one that is within reach of the helmsman, offering greater sail control and safety. 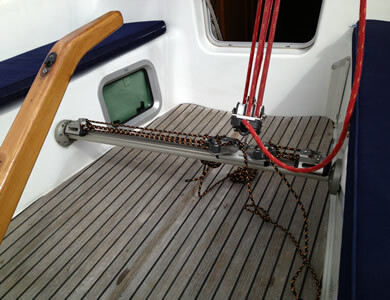 The removable track system is available in 2 sizes and can be used on yachts up to a maximum of 11.0m (36ft). 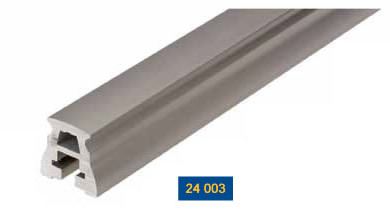 The track has a maximum unsupported length of up to 700mm (28in). 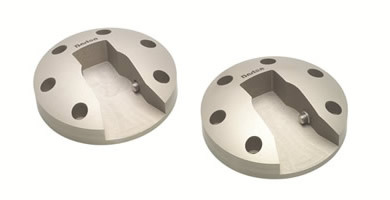 It can be attached and removed in seconds and uses Barton's beam section track. Fitting Barton Marine's new removable track couldn't be simpler, End plates are bolted either side of the cockpit, on the cockpit wall, the track is then slid under these plates and lifted vertically, which automatically locks it in position. To remove the mainsheet track, you just push in the locking pin on either side, lower the track and slide it out of the way. Use beam track when spanning cockpits or companionway hatches, where unsupported length is required. If the area you need to spam is greater than the recommended length an alternative is attaching an eye mid ships of the track and running a short strop down to a quick release pelican hook to the eye in the cockpit floor.